The apartment, which was totally renovated in 2013, is located in a very quiet area of ​​the old town a few steps from the old port. 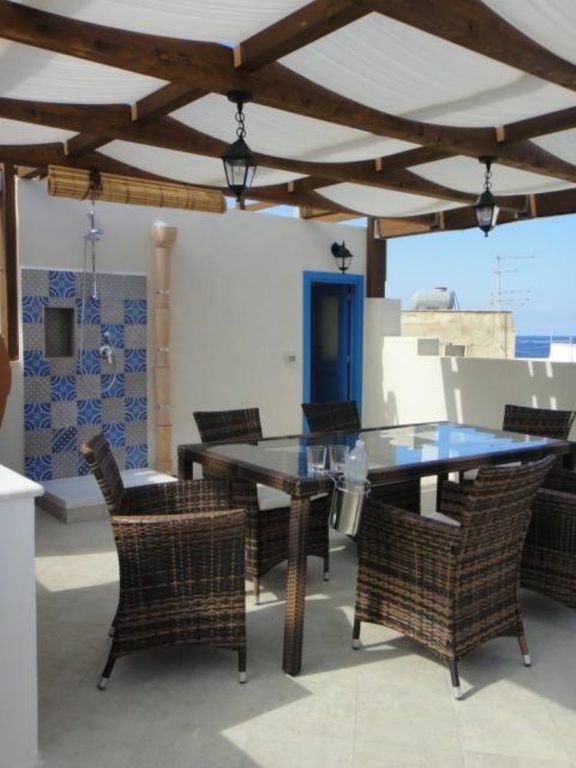 On the second floor a magnificent terrace of about 60 meters overlooking the islands, partially covered and equipped with table and sink will allow you to spend pleasant evenings. All rooms are air-conditioned. The price includes use of linen and cleaning finaliLe rates are discounted for periods longer than a week. Appartamento comodo, pulito e molto piacevole. L'appartamento è molto carino ben arredato e pulito. Rosaria è molto gentile e disponibile ad aiutare. Forse necessaria una revisione del aria condizionata che non funzionava bene.